Technology vs Humanity - the book! Gerd Leonhard, Futurist and Humanist, Author, Keynote Speaker, CEO The Futures Agency, Zurich / Switzerland Gerd Leonhard is a hunter and gatherer of human values from the future. From culture and society to commerce and technology, Gerd brings back the news from the future so business and society leaders can make better choices right now. In his latest book, Technology vs Humanity, Gerd explores the key ethical and social questions which urgently require an answer before we increasingly abdicate our very humanity. For organizations in the grip of disruption, Gerd supplies visionary insights and concentrated wisdom that informs key decisions makers today. 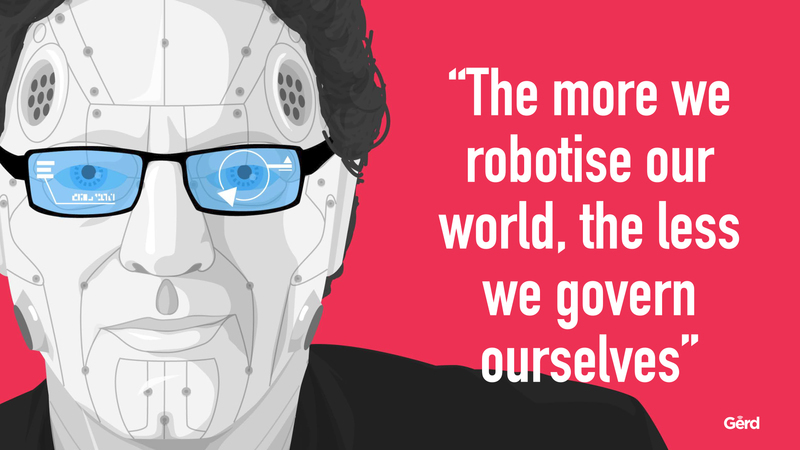 A musician by origin, Gerd Leonhard has now redefined the vocation of futurist as a new humanist. Gerd was listed as one of the top 100 influencers in technology by Wired magazine (2015). His clients include over 200 companies and organisations in 50+ countries, including Google, IPG, UBS, Roche, WWF, Cisco, KPMG, Accenture, Nestle, Unilever, US Social Security Agency, the BBC, Universal Studios, the EU Commission and many more.